Need water cooler parts? 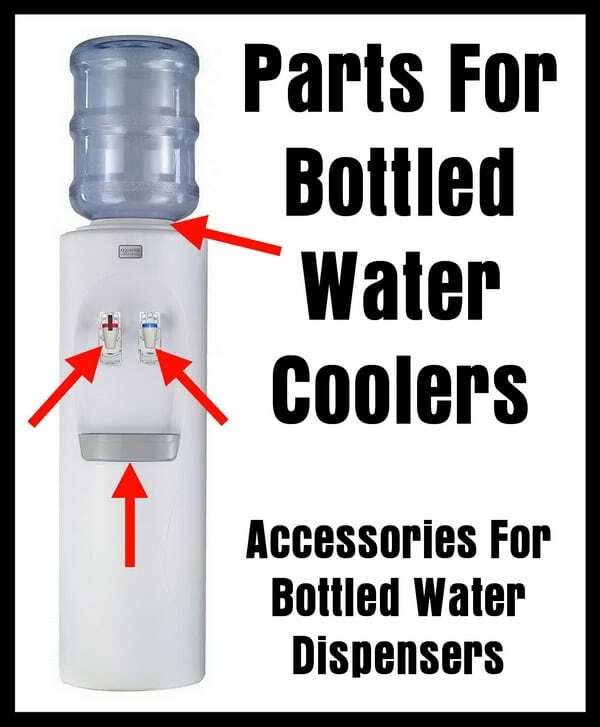 If you have a bottled water cooler and need parts, we have the most common parts needed here. There are many different types of water coolers but most of them all work the same. Water coolers and dispensers all have the same basic parts and components. This page will show different parts that may be needed for your water cooler at home or at the office. 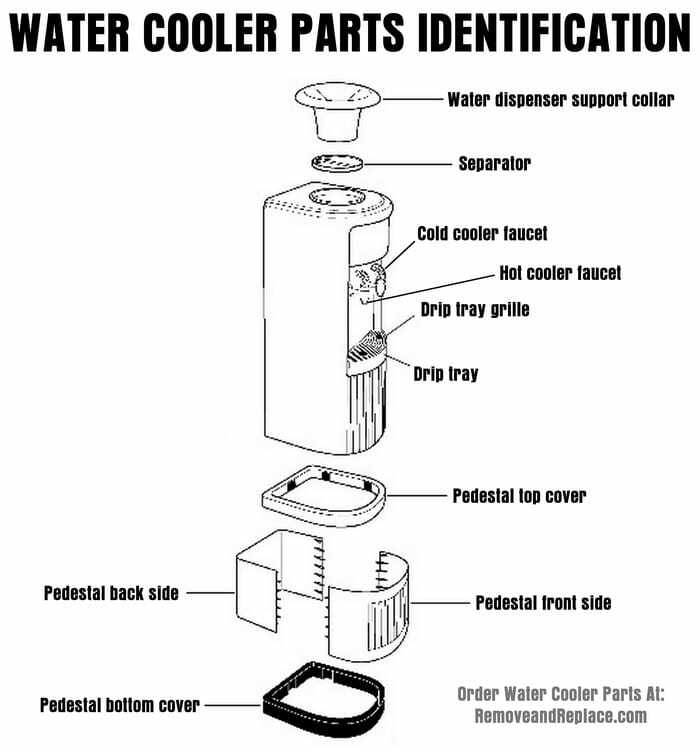 We also have a simple but easy to understand water cooler parts diagram to assist you in finding and understanding the name of the part you need. The parts we will show that are most broken, lost, or worn out is the threaded hot water dispenser, threaded cold water dispenser, o-rings, seals, water cooler bottle support collar, and more. 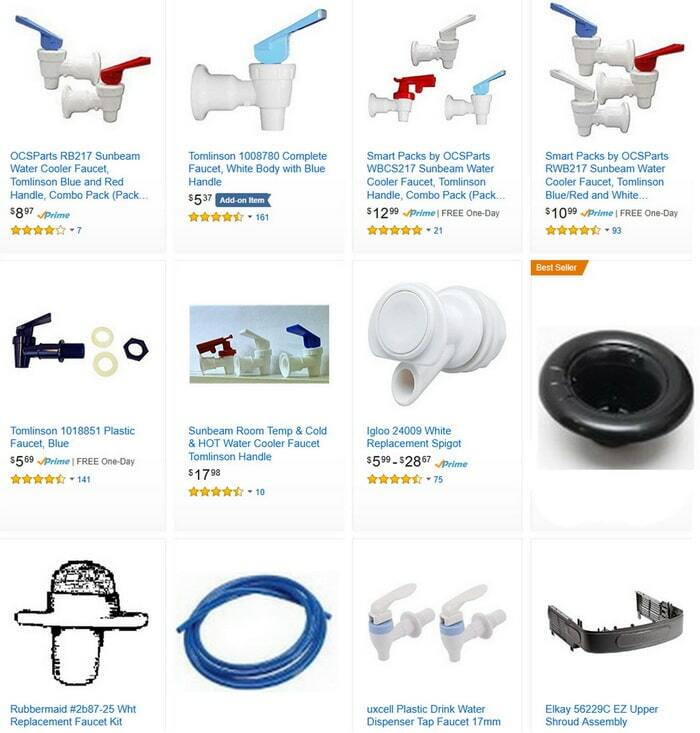 See below for all water cooler parts for all brands of water dispensers. Water Cooler Parts are available for all brands of water coolers including Avalon, Whirlpool, Primo, Igloo, Hamilton Beach, Oasis, Honeywell, Primo Water, NewAir, Avanti, Aquverse, NutriChef, Vitapur, Kissla, Glacier Bay, Farberware, and Giantex. If you need help finding a special part or any part for your water cooler or water dispenser, please leave your question below with the make and model number of your water cooler. I have a water cooler with model # F528HB010-NBBL. I need the seperator and support collar but not sure what brand this cooler is. Can you help? Sankey WD 307ST is the model of water dispenser that I have. I need a new blue top/faucet for the cold water dispenser. hi. I have and elegance byz1106 water cooler. I need a support collar but can’t seem to find this brands website or customer care details anywhere. can you help? I need a replacement ‘Support Collar’ for my Milano Water Cooler. I am looking for a replacement water bottle support collar for a Whirlpool WHAC-5008GA water cooler. Looking for a water cooler collar for a Greenway GWD230W. The collar consists of two part. The spike fits into the bottom of the collar bowl and locks in with tabs. The locking tabs are broken on the spike. I contacted Greenway and this unit has been discontinued for sometime. Is there an all in support collar that will fit my unit? I have a vitapur top load VWD6956BLS. The water support collar broke when I put the bottle in. Any suggestions. I’m looking for a replacement probe for my primo water cooler model #601132. Anyone have the viva/primo drip tray with grate (bottom load, hot/cold, self cleaning, 5 gal) replacement part? We have a Hinkley Springs water dispenser. It is an old model BF1AK. Need the top collar and washers where the tube fits to the inside of stainless steel reservoir. I need a starter switch and an overload switch for a vitapur water cooler. Model VWD5446W. Can you please let know if you have them in stock and the price? I have a Glacier Bay stainless steel water dispenser #1001-017-471 and I need a replacement drain plug & cap which is on the back of the dispenser. Can you mail it to me or to the local Home Depot store? Thank you. Glacier Bay stainless steel water dispenser #1001-017-471 parts are available at Home Depot or on their website. I need a silicon drain plug and cap for a Hamilton beach Watercooler BL-1-3. Where can I find one? I have a Honeywell HWB1052W2 Bottled Water Cooler and need a replacement funnel (or water guard). I cannot find where to buy it at. I need a replacement compressor for Whirlpool-218LIECH. I have a Waterboy cooler. The heating unit went out. Do you have a replacement part? If so do you think that is an easy DIY project? I need parts for my water dispenser. Glacier Bay. Model VWD5446BL5. This item was purchased at Home Depot and it is now cracking and leaking at the bottom I need a pedestal bottom cover. We are in need of a cold water faucet replacement for a Honeywell water dispenser. The model number is HWB1052S. I have a primo model 900105 there is a tube like silicone part that has a ‘valve’ in it. It has a tiny hole in the middle of the valve. The cooler began to leak around the top. The valve in the silicone tube has cracked. Can you tell me what’s it called? I can’t upload a picture here. Do you have hot and cold avanti water dispenser Faucets? The avanti cooler model is wdp75. I am looking for a drip tray assembly for a Primo Bottom Loading Water Dispenser Model # 601090 SO. Looking for drip tray for Whirlpool water cooler model number WHKMD10. Call 1-844-4WHIRLP (494-4757) as many Whirlpool water cooler parts are not easy to find! I am looking for a hot water cooler replacement for a Honeywell HWB1052S2 38-Inch Cabinet Freestanding Hot and Cold Water Dispenser. Check Amazon for the hot water cooler replacement for your Honeywell HWB1052S2 38-Inch Cabinet Freestanding Hot and Cold Water Dispenser. If not Honeywell will have it as a part for sale on the Honeywell website. 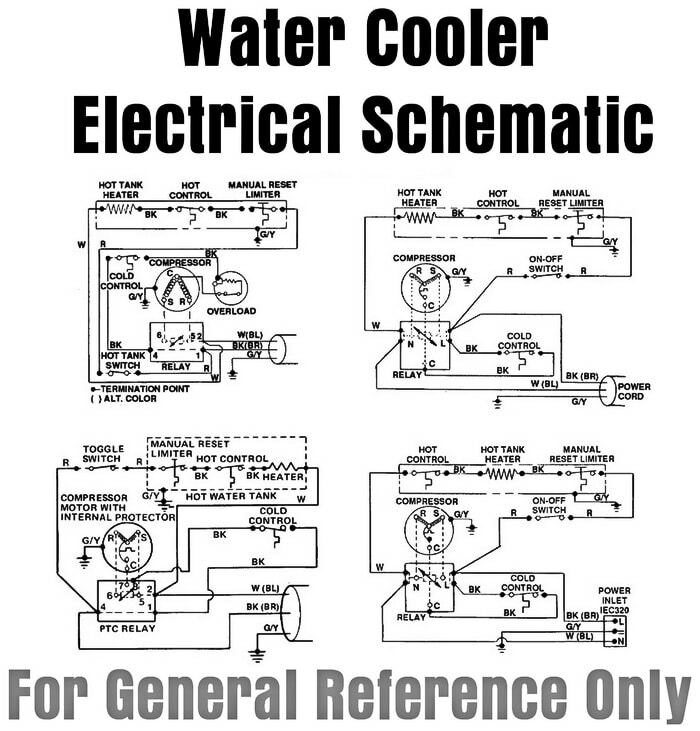 I have a Glacier Bay water cooler model number VWD5446BLS. It has an overload relay on the compressor that is bad and I need the overload relay and the relay that plugs into the compressor. These parts are not easy to obtain for some reason. Your best bet is looking on Ebay or similar and find the part you need or a broken Glacier bay water cooler with the parts you need and swap them out. I have a slime problem I still have the old bottles with the green top. Is there a way to just get the top? We brought the water cooler. 2 years ago and we love the way, we can get hot water or cold water. I’m looking for a drip tray grill for a Primo 900133 bottom loading dispenser. Thanks. Check eBay for all Primo Parts. There is new and used parts depending on how deep you search. Also check PRIMO WEBSITE as they have ALL parts needed on the site. Previous post: Dishwasher Turns On And Starts By Itself – Causes and Solutions? Next post: Oven Door Is Locked – How To Unlock And Open The Oven Door?